Particleboard is a term used to describe a wide variety of products made from wood particles or fibers mixed with various types of adhesive. 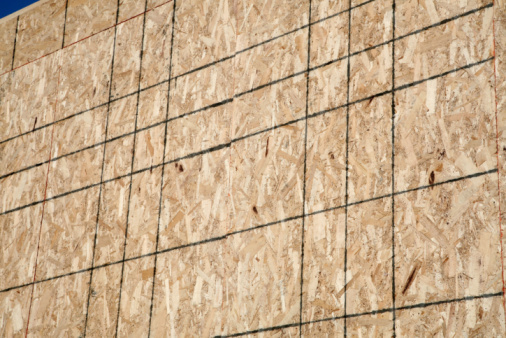 Particleboard comes in many different grades, some of which are quite strong and durable. Because of its stability, cabinet and furniture makers frequently use particleboard laminated with hardwood veneers. Stripped screw holes are common in particleboard, however, which is why many manufacturers no longer use simple wood screws for assembly. 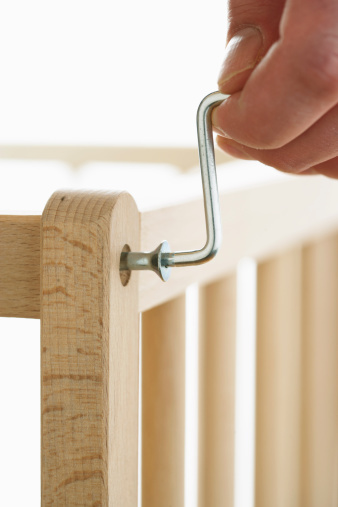 A pulled out screw can usually be fixed in particleboard as easily as in solid wood. Stripped screw holes are common in particleboard. Select a drill bit for the threaded insert pilot hole according to the instructions provided with the inserts. Drill a pilot hole to the specified depth. Keep the drill straight up and down as you drill the hole. Squeeze a drop of wood glue into the pilot hole, but be careful not to fill the hole. Start the insert carefully into the pilot hole by hand. Use a large screwdriver or T-handle to drive the insert into the pilot hole. Drive the insert to 1/16-inch below the surface of the wood. Don't drive the insert in too far. Assemble the repaired piece using the screw provided with the insert. Tape off any areas surrounding the screw hole that might be damaged or discolored by contact with the auto-body filler. Mix the filler according to package instructions. Pack the stripped screw hole with filler using a putty knife. Insert three or four toothpicks into the screw hole before the body filler sets up. The toothpicks should reinforce the repair, not fill the hole. Cut off the protruding toothpicks once the body filler has set. Sand the repair smooth. Remove the masking tape. Assemble the piece using the original screw.